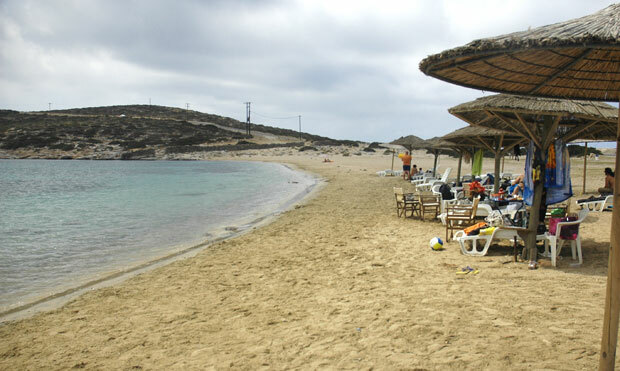 Kalotaritissa beach is a smooth and picturesque sandy bay with some shingle parts. 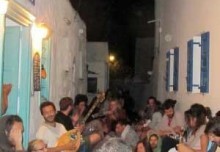 The beautiful place on the most southerly point of the Amorgos Island is wind and rough sea protected. The sparkling aquatic scenery is surrounded by a small port for the local fishery boats, it is also a favored anchor ground for yachting people. The charming beach bar caters the vistitor’s needs. Beside drinks and snacks it offers beach chairs and sunshades to rent. Kalotaritissa beach definitely is a place to meet nice people, have fun and party. While in Kalotaritissa beach one can take a 10 minutes boat ride (every hour) to the nearby deserted [intlink id=”gramvousa-island” type=”post”]island of Gramvousa[/intlink], which has a romantic beach, too. How to get there: Kalotaritissa beach is reachable by car or scooter.